Before we begin, know that the whole code from this blog is collected here: https://github.com/gquintard/docker-howto. If you're new to Docker, be aware that this post won't cover all your needs. Docker is a very nice solution, but it's a just tool, and what you make of it and how is more important than what it is, same as git, for example. However, we'll explore two ways (out of ten bazillions) to build a Varnish+Hitch+Agent image to cache HTTP/HTTPS content and be able to pilot it using a REST API. Docker is an easy way to produce versioned, all-included system images, but not much more. You'll still need to care for your machines, configure them and monitor them. In addition, contrary to a VM that has its own kernel, containers use the host's so you can't really tune the TCP stack (something we do routinely for high-performance servers) directly from the container for example. But that can be covered in a later blog post. Let's get you up and running first. To build an image, we have to feed Docker a Dockerfile, which is a text file that will explain the various steps required to create said image. It will involve (most of the time) choosing a base image, then modifying it according to our needs. Here we'll use a Centos image because it's a solid, widespread distribution and because we have all the right packages available for it via PackageCloud. One important thing to know is that each action/line of the Dockerfile will generate an intermediary image or "layer", that is saved (as a delta, to save space). This avoids rebuilding the full thing over and over, if Docker can find a previous layer matching exactly your image. So, for this to be useful, we'll tend to put the larger, longer, less-likely-to-change operation towards the top of the file, and the quicker and less dramatic ones near the end. but by default, that won't be useful to us in this blog. Easy enough, we ask for the Centos image tagged with version 7. The first time we ask for it, Docker will dutifully request it from the docker hub, and of course, you can choose a different distribution and/or version. Once it's in there, we can use yum to first install the epel repository, then the trio of programs we'll use. Note: this explains why conf/ and bundle/ are two different trees, copied at different stages. We want to profit from Docker's cache, and re-downloading the same packages every time we update the configuration (i.e. frequently) is not nice. And since I'm super lazy, I thought we could simply generate the configuration based on what we find in /etc/hitch/pems. To activate it, just place your pem files in conf/etc/hitch/pems and uncomment the "" line in hitch.conf, and you'll be good to go. Obviously, conf/ also contains the vcl file(s) you want to bring along, but there's nothing out of the ordinary here. 80 and 443 are familiar as the HTTP and HTTPS ports, and the more experienced Varnish users may have recognized 6085 as the varnish-agent port. But what does the EXPOSE instruction do? Short answer: for us, here, nothing. They simply inform Docker that there are services listening on these ports, that's notably useful when using the -P switch for "docker run" as you'll see below. One thing to grasp about Docker is that a container usually runs only one command, and while you can attach another command to a running container, everything should be started from one single command. So, we abide and create a little script that starts all three daemons and then wait forever (note the classic tail trick at the end) to keep the container running. You can have a look at the script here; it may seem a bit convoluted, but that's so we can reuse it later. docker build -t varnish-img . Now, running it is a bit more complicated, but just barely. Because the container is going to be trapped inside its own little operating bubble, we need to create a few contact points. Namely, we need to have Varnish, its agent, and Hitch reachable from the outside world. Note: if you want to just redirect the ports to the container without changing them (-p 80:80 ...), you can just use the -P switch that means "expose all" and will use the EXPOSE lines from the Dockerfile to do so. Also, to follow these guidelines, we'll want the /var/lib/varnish directory to be mounted as tmpfs. No reason to ruin performance just because we are in a container, that is done using the --tmpfs switch. The fun thing is that by default, that won't work! (I do have my own definition of "fun"). The /var/lib/varnish/ folder is used to store the compiled VCLs, and they need exec permission, so we need to add that. If you try to "curl localhost:1080", Varnish should reply with a 503, a sign that it's running but hasn't got access to a backend (duh, we never configured one!). Using "curl https://localhost:1443 -k" should yield a similar result, sign that Hitch is running too, and you can also check that the agent is up using "curl http://foo:bar@localhost:1085 -k" (authentication is handled via the /etc/varnish/agent_secret file). In this post, I made the choice to embed the configuration directly into the image, and people may be outraged because "you need to separate data and code", but really, image deltas are cheap, both in time and space. The advantage is that you can change the configuration on your host machine and reload Varnish without needing to re-build and re-run the container. It works beautifully, but now you need to pull your configuration from *somewhere* and manage dependencies between software versions and configuration versions and... well, that's also a topic for another post. Tons of stuff! You now have an active container and we can see how we can interact with it. 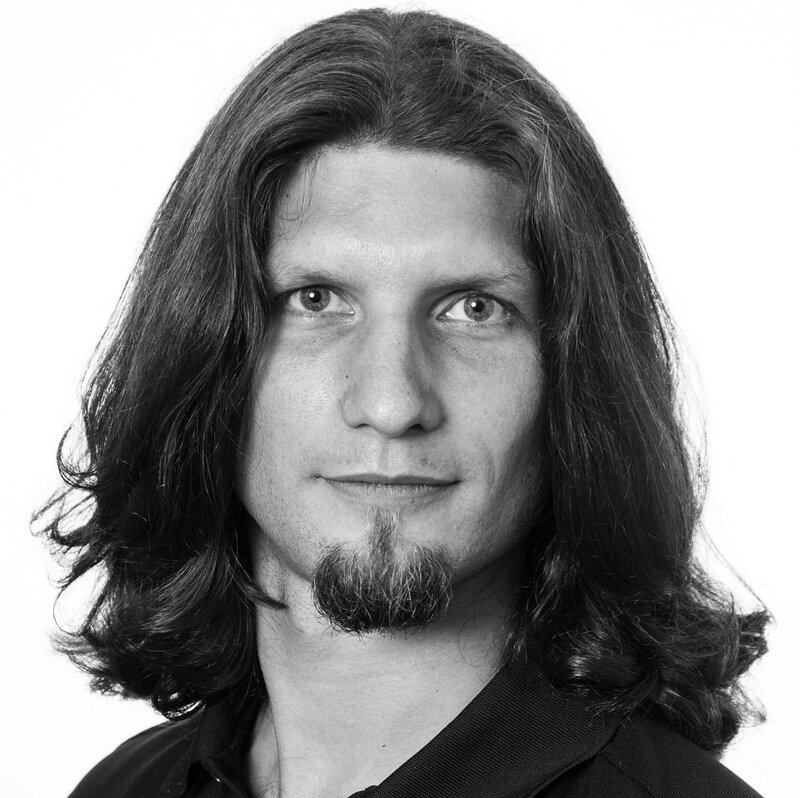 For example, how do we look at the varnishlogs? You can see here that it's running varnish-suite.sh, on the "full-install" container, and since I didn't name that container, Docker baptized it "amazing_tesla"; I probably wouldn't have done better. Note: This means you can run multiple containers using the same image, but you'll need to name them differently (or let Docker do it automatically) and make sure you don't reuse the same host ports. We already have a working image, but everything is jammed together and that's not very "micro-service-y". Wouldn't it be neat if all three services could reside in their own container? Yes it would! More importantly, by running them on the same container, we blind ourselves to the errors/crashes. Because we run "tail" at the end, the container will terminate only if "tail" stops, even if Hitch and/or Varnish and/or varnish-agent are dead. The possibility of having a "zombie" container is not very satisfying. hitch must know what's Varnish's host, before it was easy: localhost. That won't hold true with Varnish on a different container. What will the Varnish IP be, anyway? 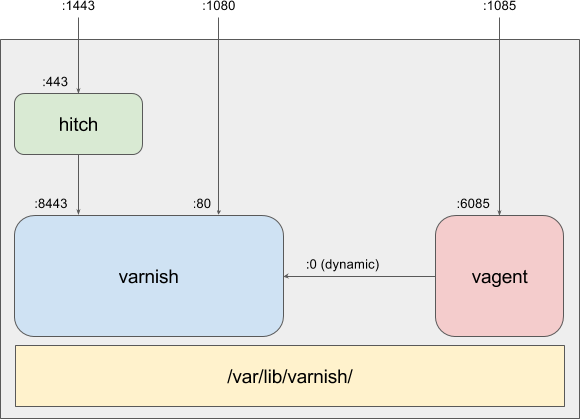 varnish-agent must know where to find the SHM (containing logs, counters, the secret key and the administration port) that was in /var/lib/varnish/$HOST. But now the two programs won't be on the same host or filesystem. varnish-agent must also know both the secret key to the admin socket and the admin port. Both are located in the SHM, but if the port is retrieved from it, the agent will connect to localhost, so that won't work here. So, that's quite a lot things to watch and synchronize! And as it is not my style to expose a problem without riding to the rescue like a grandiloquent white knight, I happen to have a solution. As for the Dockerfile, there's not a lot going on, but I'd like to hammer a few points home before we call it a day post, notably the ones I may have forgotten in a few months and I'll need to read that article again to know why I did things this way. volumes: workdir is super important, we both want Varnish to be writing in a tmpfs-mounted file, but we also want to shared it with the agent. Thus it's necessary to have the last block so that both can refer to it. For the agent and Varnish, we additionally specify the workdir and the admin port, but not the secret that will be retrieved from the SHM in the workdir. In the hitch block we override the backend with the host "varnish", it points directly to the varnish block above it. Upon creating the container, docker-compose will add an extra route automatically. That way we don't need Varnish's IP at all. That means that instead of using "127.0.0.7" as backend, Hitch will just use "varnish". The SINGLE variables allow varnish-suite.sh to be reused and to only run the selected program. Using some bash-fu, it also adds/removes the proper switch so as to start the program in the foreground (non-daemonized). And it can be tested exactly the same as the all-in-one solution since the ports are the exact same! Well, not really, but I'm listening Sabaton's "The end of the line" at this precise moment, and it kind of seemed fitting. In truth, we have only just started the Docker journey. As said at the beginning of the article, this is just a tool, and there are tons of ways to wield it, bad and wrong obviously, but importantly, more or less fitting to your workflow. Sadly, there's no universal answer, but after all, that's what makes engineering such systems fun, isn't it? 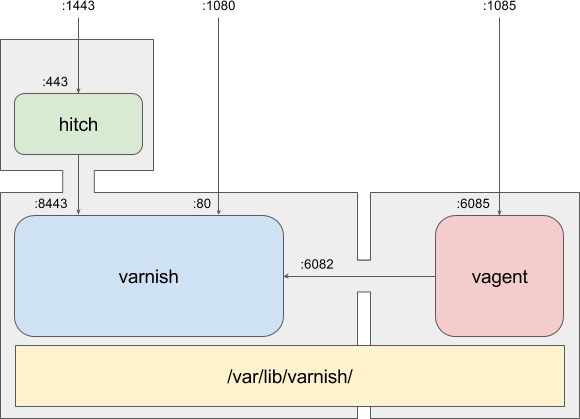 we didn't configure any backend for Varnish in the VCL. neither did we clean the image in the Dockerfile to reduce its size. the compose file is also devoid of backend. the logging has been left out altogether. I'm going to take the easy way out and leave these as an exercise to you, readers, but if you'd like to discuss the way things were done in this article, hit me up on Twitter or in the comments!